There is a certain sadness in charting the descent of a great player into irrelevance. And with every misstep he takes, Antonio Brown of the Pittsburgh Steelers moves closer to just that. Brown has always viewed himself as one of the great receivers of his generation, and while he is no Jerry Rice, he and Ben Roethlisberger have become of the NFL’s most dynamic duos, right up there with Tom Brady and Julian Edelman. Based on his numbers, Brown is a likely Hall of Fame player. But Brown appears to be on a track of self-destruction. And earlier this week, the skid was greased again when the league learned of an alleged domestic dispute with a woman. “We will look into it,” said NFL spokesman Brian McCarthy. Brown has an offseason home in Hollywood, Fla., and it was there on Jan. 17 that an alleged incident took place after the mother of his daughter dropped off her off and asked for money for her haircut. According to a police report, Brown opened the door for his daughter and then shut in once she was inside. This led to the woman yelling at Brown for the money and when he finally opened the door, she stepped forward in a way preventing Brown was closing it. Brown, who has five children, continually asked the woman to leave, but she did not budge. At that point, according to the report, he shoved her down to the ground. As you would expect, Brown’s attorney said his client did nothing wrong and blamed the media for sensationalizing the incident. Brown was not arrested. Here is what makes that story look more believable: Brown was sued in August for chucking several pieces of furniture to the ground from the 14th floor of a Florida condominium. Brown was leasing the condo for $35,000 – a month! The NFL does not take these reports lightly. In December, the Kansas City Chiefs cut halfback Kareem Hunt, one of their top players, after a video was released from last February showing him shoving and kicking a female. The league placed him on its Reserve/Commissioner Exempt list, which essentially bars him from playing in the league until the investigation is complete. What separates Hunt from Brown, at least conceptually, was that Hunt expressed contrition for his actions. He even said the Chiefs were correct in cutting him, especially when everyone realized he had not been honest with the team when first asked about the incident. On Nov. 8, Brown was nabbed driving over 100 mph the night before the Steelers-Carolina Panthers game. Brown would not answer questions about the incident, further acerbating a situation that has soured months earlier when he threatened an ESPN reporter about a story written about him. Brown’s entanglements are just the latest incidents from a really bad year. 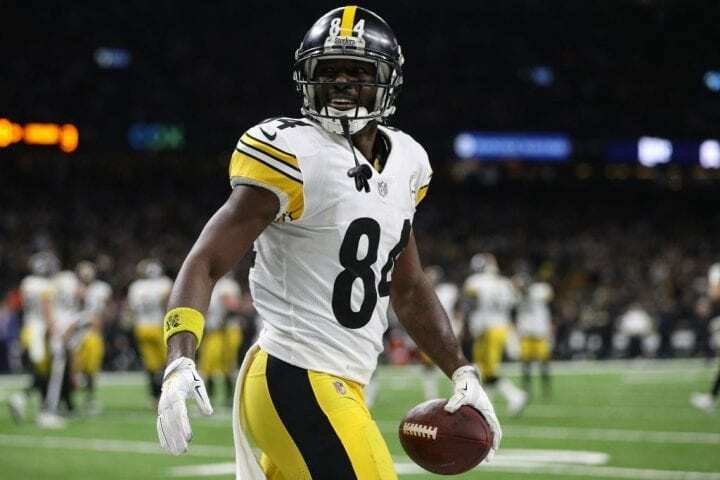 The receiver was embroiled in a series of personality conflicts with his teammates and ownership during the 2018 season. The Steelers reportedly are so upset with him they are considering trading him, something that would have never been a possibility before. Brown and Roethlisberger are feuding. Apparently, the two had a dust-up during the week leading up to the season finale against the Cincinnati Bengals. Although the encounter has since been disputed, Big Ben became heated when Brown inaccurately ran a pass route. And Brown was so incensed, he slammed the ball down in the general direction of the quarterback. Whatever happened, Brown still had a hissy fit. He complained of a sore knee and did not practice for two days. The team scheduled an MRI. Brown did not show. And then he did disappeared for nearly 48 hours before his agent called the team to say he was safe and ready to play. Tomlin, a long-time apologist for Brown, decided he would not play him against the Bengals. Brown left the game at halftime, the team has not heard from him since and he took the Steelers name off his Twitter profile. When you combine Brown’s off-the-field problems with the internal issues he’s had with the Steelers, you can begin to understand why the club might be tiring of his diva act. Pittsburgh owes Brown a $2.5 million roster bonus on March 17. 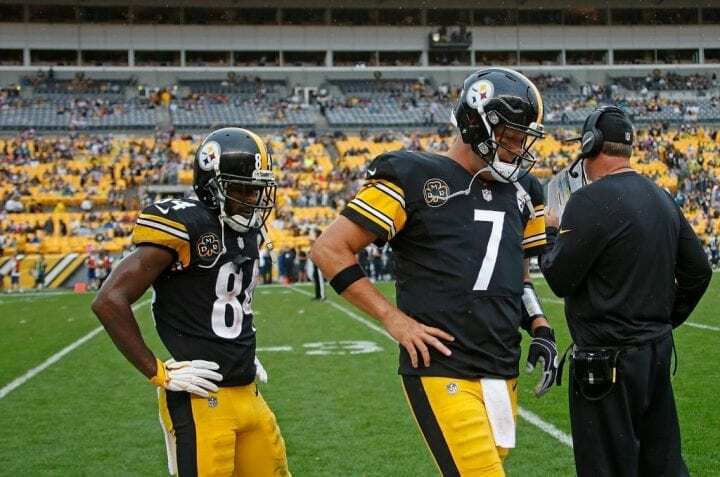 If he’s still with the team, the Steelers will be smacked with a $23 million hit – just for Brown – against their 2019 salary cap. Since Steelers owner Art Rooney II has said the team will not release him, and it appears they aren’t inclined to drain its salary cap, one would assume Brown in on the trading block. Would the Steelers miss Brown? Damn right, they would. After being a sixth-round pick in 2010, he has caught more passes (837) than any receiver in the league. Brown, a seven-time Pro Bowl pick, had 104 receptions for 1,297 yards and 15 touchdowns. It was the sixth straight season he’s had at least 100 catches. In 2013, he became the first player in league history with at least five receptions and 50 yards in every game. And he made a league-leading 129 catches in 2014.